Although we did not see any mosquitoes, we were told that we should take malaria pills. 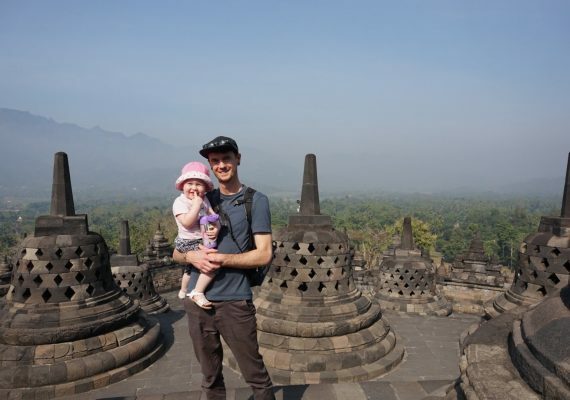 You should also make sure your vaccinations are up to date for travel in Indonesia. Our experiences while there were remarkable because they were offered through the hotel that we were staying. I would highly recommend the Komodo Resort Diving Club. We snorkeled and did the land excursions offered there. It was hot and humid in March, but the boat offered lots of cover to avoid the sun. It did not rain while we were there, but it is the tail end of the rainy season. Bring lots of clothes that will dry quickly and make sure you have a sun shirt for snorkeling in the water. All food is included in the cost of your hotel stay. However, for all boating and other excursions you pay à la carte. Early morning is cooler for hiking, but it doesn't really matter. Everything is available to see or do all day long. Take your family on a daring adventure to Komodo Island in Indonesia. This is the home of the Komodo dragon, and the island is a part of Komodo National Park. The park is made up of 27 uninhabited islands and has some of the most marine life biodiversity in the world. We stayed at the Komodo Resort and utilized the excursions offered here. This full-day itinerary offers amazing scenery, opportunities to snorkel, great photos (from a safe distance) of the Komodo dragons and more. Begin by taking a boat ride on the gorgeous water of the Flores Sea to your first stop, Rinca Island. Once on Rinca, a park ranger will guide you through the island to see the Komodo dragons roam free in their natural habitat. Next, hop on the boat, and on your way to Padar Island, stop off for some fantastic snorkeling. We saw breathtaking coral and reefs, plus swam with manta rays and turtles. Upon arrival to Padar, take a nice hike up to catch a marvelous view over Komodo National Park. The natural beauty on display at these Indonesian islands is simply phenomenal and a memorable experience for parents and kids. Rinca Island is where the Komodo dragons run free. With the guidance of park rangers, hike around the island to spot Komodo dragons in their natural habitat. DIRECTIONS From Komodo Resort, take a 2-hour boat ride to Rinca Island. From there, a park ranger will meet you and you will walk about 15 minutes to the park ranger station. After that, decide whether to do a short, medium or long hike on the island while trying to spot (and stay safe from) Komodo dragons. TIP Komodo dragons are dangerous creatures. Their bite is venomous and can ultimately cause death. For that reason, I would not take small children to spend time with the Komodo dragons. But other than that, it is a very cool experience to get up close to these animals without any walls or fences between you and them. 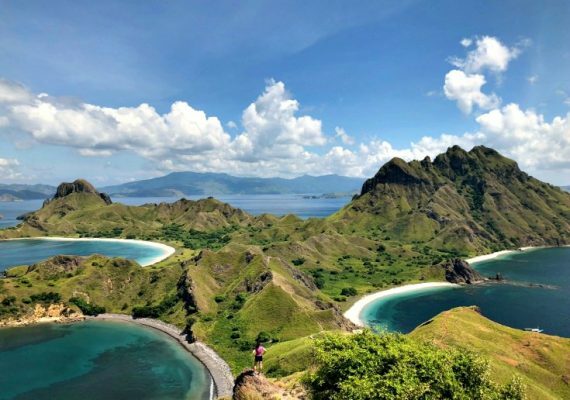 Padar Island is a beautiful island in Komodo National Park. We climbed up one of the mountains for about 40 minutes. For the most part, there is a crude pathway and stairs built into the natural landscape. At the top of the mountain, you can see three different colour beaches: white, black and pink. The view is breathtaking. Actual entry onto the island is free. However, the overall cost for the excursion is expensive, because you have to pay for the boat and entry into Komodo National Park for the day. DIRECTIONS Like Rinca Island, you have to take a boat to Padar Island, which is located in Komodo National Park. TIP It is hot, with no protection from the sun while climbing the mountain. Make sure you bring lots of water and appropriate sun protection. You also need appropriate shoes, either hiking or running shoes. Do not wear flip flops. WE LOVEDThe resort was on a deserted island. We each had our own hut right on the beach. The food was all-you-can-eat Indonesian and Italian food. The massages were fantastic, and we were just outside Komodo National Park, so access to everything was very easy.